Many of us have made the resolution to lead a healthier lifestyle in 2009 and there is no better place to do that than in the year-round gorgeous climate that we offer here in Encino, California. And while most people typically join a gym, there are numerous options here that allow residents to venture outside for their exercise needs. One growing trend among fitness circles is the “boot camp,” such as Backyard Boot Camp and Valley Boot Camp. Instead of heading to the same gym, staring at the same television, while climbing the same imaginary stairs, sign up for one of these courses and let a variety of activities, with nature as your backdrop, be your inspiration. There’s nothing quite like climbing a real mountain to get your heart rate up and the pounds down! And don’t forget about about our miles of trails at the Sepulveda Basin Recreation Area. With over 2,000 acres, this gorgeous outdoor wonderland is sure to have something for you to help get back in shape. There are biking and hiking trails, tennis courts, a Sports Center, three 18-hole golf courses and numerous other activities sure to get you out of the house and on the way to a healthier you! For more information about living where the sun always shines here in gorgeous Encino, California, my name is Carol Wolfe and nobody does it better. While this Chinese method of organizing or balancing energy has been around for at least 3,000 years, it remains misunderstood or dismissed by many as a mystic or metaphysical belief that holds little to no value whatsoever. But it’s hard to believe that a wisdom that’s been practiced for so long and has so many avid followers could be completely without merit, which is why a brief explanation might illuminate some of its benefits. At its root, feng means “wind” and shui means “water” (pronounced fung-shway) and is symbolic of its close ties with nature. Good “wind” and “water” meant a good harvest, or in today’s terms, good fortune. Practitioners use scientific calculations, a special compass, astronomy, and the Five Elements (wood, fire, earth, metal, and water) to determine how best to arrange a home to maximize the good energy. Using the elements in their proper places, with their proper colors and making sure that objects such as mirrors, lights and furniture are in the right position, according to some, can bring everything from wealth to love into your life by allowing good energy to flow. These days, some people hire feng shui experts before a home is even purchased to make sure that there are no major misplaced elements of the prospective residence like a fireplace or stairs. No matter what your beliefs, it is my privilege to help you find a home you feel comfortable in. My name is Carol Wolfe and nobody does it better. We’ve all seen the Money Pit with Tom Hanks and Shelley Long. Remember the one where they find their dream home, only to discover that after they’ve moved in, everything that could be wrong, is. In real life, this is a rarity because of one word – INSPECTIONS. These days, a home rarely changes hands without them, and the haunting images from that movie are easily avoided. No one wants to move into their dream home only to discover muddy water, exploding electrical systems and rotting wood. A home inspector will look beyond the surface, top and bottom, from the roof to the plumbing, to uncover anything and everything that might affect a buyer’s decision. Real estate contracts allow for an inspection period where the buyer can opt out if any big surprises are discovered. It is wise to have a comprehensive overall general inspection, but there are a handful of specialized inspections I usually recommend as well. Buyers should consider chimneys and sewer lines, and it is not uncommon to have separate inspections for mold, foundation, roof and asbestos, particularly if the home is older. The general inspection, while comprehensive, cannot always find hidden problems, which is why I recommend having specialists for each area of concern. If you’d like to eliminate any surprises in your home buying process, my name is Carol Wolfe, and if nobody does it better. According to www.merriam-webster.com, escrow is defined as: a deed, a bond, money, or a piece of property held in trust by a third party to be turned over to the grantee only upon fulfillment of a condition. In real estate transactions, there are so many parties obligated to fulfill so many responsibilities, it is easy to see why a neutral party like an escrow company is essential to a smooth process. In any given transaction, you have the buyer and seller, their agents, the inspectors, the appraiser, the mortgage broker, the lender, the lien holders, the IRS and and handful of other variables. It is during the escrow process that the money gets divvied up and everyone’s proceeds and fees are accounted for according to the conditions of the contract. The escrow company also ensures such things as a clear title, recording the deed, ordering warranties, filing paperwork with the proper municipalities, and receiving funds to be disbursed, just to name a few. Whether it is the buying and selling of a home or the transfer of a business, the amount of legal documentation and financial liabilities can easily create confusion or differences of opinion and the worst things of all, the delay of a timely close. This is why an impartial, third-party representative becomes essential to focusing on the facts and responsibilities that must be fulfilled. During my extensive career in real estate, I have encountered issues from all ends of the spectrum, but a good escrow company can handle them with ease, just like a good real estate agent. Together we can make your home buying experience a breeze. My name is Carol Wolfe and nobody does it better. I have been in the real estate business for more than 30 years and let me tell you, I have seen my fair share of economic ups and downs. What has made me fortunate enough to weather these difficult times is my unfaltering dedication to customer service. Real estate agents may come and go, and during economic booms like the most recent one we experienced, it may seem like everyone has their hand in the pot. To stay a step ahead of the rest, you must develop a relationship with your clients that provides them with the best experience possible. This comes from tireless attention, paired with the most up-to-date knowledge. Top it off with a generous helping of experience and you will have true staying power, the kind for which I have strived my entire career. It is my network of valuable clients, people I consider clients for life, that has made me the success that I am in an industry that can oftentimes seem like the hardest hit during economic conditions such as these. Which is why I would like to take a minute to thank them for allowing me the opportunity to serve all of their real estate needs, and to thank them for their most valuable gift, referring me to their loved ones. And if I have not yet had a chance to help you with your real estate needs, my name is Carol Wolfe, and I would love the opportunity to prove to you that nobody does it better. Not only is Encino at the heart of the southern California dream, we are also just a short trip to some of the country’s best skiing and snowboarding. Just a little more than two hours in your car (expect longer for weekend or holiday traffic), brings you to the gorgeous mountain lifestyle of Big Bear Lake. Living this close to the best beaches and even the best snow – what doesn’t Encino have to offer? If you are looking for a residential rental in Big Bear, let me know and perhaps I can refer you to one of my contacts in the area. 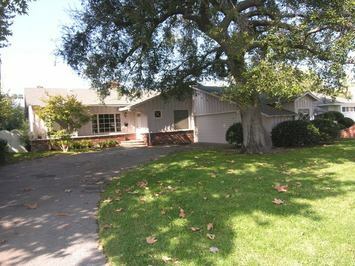 If you’d like to live in Encino where you can be this close to the best of both worlds, I can help with that too. My name is Carol Wolfe and nobody does it better. New Year’s resolutions – whether you actually make them or not, they always start to creep into our consciousness. Often it’s about losing weight thanks to all the delicious holida y treats that we’ve been snacking on for the past month, but one that makes the list quite often is cleaning out the clutter in our lives. Sometimes it’s your office, but more often than not, it’s our home. And if you have wonderful children living with you, clutter becomes even more painfully obvious when they try to put away a new batch of Christmas presents. OK, OK, we can’t blame it all on them. Nevertheless, getting rid of things you don’t use or need, and organizing what you do, is a task that doesn’t resolve itself. It takes planning, and let’s face it, lots of work. Some tips from the experts suggest starting small, baby steps. We all have grandiose ideas in our head, but accomplishing even the little things is just as rewarding and more likely to motivate you to keep going rather than tackling a big project all at once that never gets finished. It’s amazing what a simple hall closet can do for your self esteem. And while The Container Store and IKEA haunt our dreams as the meccas of organization, simply putting things into labeled shoe boxes work just as good when our budgets don’t quite match our vision. And if all else fails and you realize that you have simply outgrown your home and it’s time for a new one, I’d be more than happy to help you. My name is Carol Wolfe and nobody does it better. This gorgeous golf oasis in the middle of Los Angeles is a municipal course that rivals most. 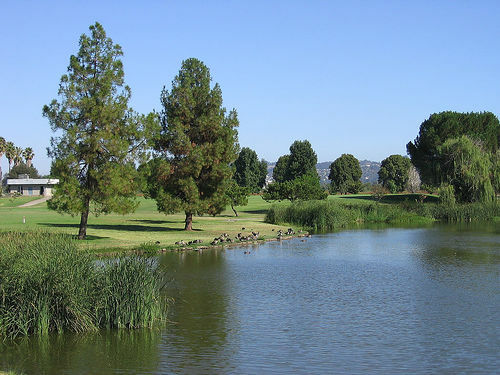 The Woodley Lakes Golf Course is an 18-hole, par 72 beauty located just off the 405 freeway and Victory Boulevard in Van Nuys. Golf fanatics will love its wide fairways and large greens, with water hazards and a couple of truly challenging holes thrown into its 6,805 yards. And for those who are simply golf enthusiasts, the lush terrain and random ponds create for a beautiful backdrop and a safe refuge for a multitude of wild life. Either way, a stroll along this course is sure to be a great way to spend a gorgeous day outdoors, of which we have many here in Southern California. Woodley Lakes also features a driving range with 30 tees, pro shop, lessons, practice greens, cart and club rental, a restaurant and full lounge – everything a golfer’s heart could desire! Of you’re a golfer and are interested in becoming a regular at Woodley Lakes, I’d be more than happy to show you property that can make that a reality. My name is Carol Wolfe and nobody does it better.